English: Entrance facade of the Main Building at Torrance High School, located in Torrance, southwestern Los Angeles County, California. 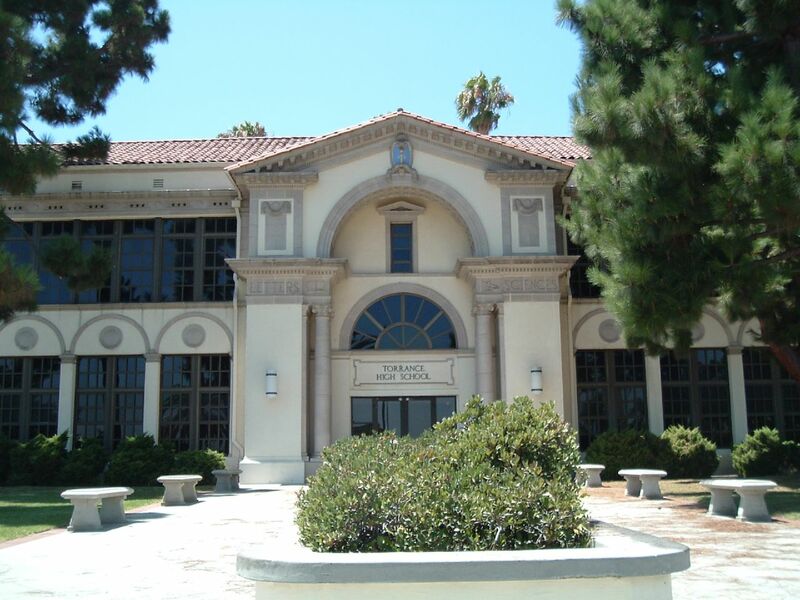 The 1917 Mediterranean Revival style building is on the National Register of Historic Places in Los Angeles County. Español: Escuela Preparatoria Torrance, en Torrance, Condado de Los Ángeles, California. This image was originally posted to Flickr by janeway216 at https://www.flickr.com/photos/92491895@N00/405007180. It was reviewed on 13 April 2008 by FlickreviewR and was confirmed to be licensed under the terms of the cc-by-2.0.